We can no longer deny that the seasons are changing and for older adults still living in their own homes, the transition to cold weather can represent a number of unique safety hazards. If you have an older adult for whom you are a caregiver or if there is someone you simply look in on occasionally, here are some tips to help make them safer in their homes as the temperatures drop. 1. Have furnaces and their chimneys checked to be sure that they are burning cleanly and venting properly. Carbon monoxide is a gas that is colorless and odorless, yet lethal. It is a byproduct of combustion and can accumulate in an older home that is closed up tight against the cold in the fall and winter. 2. 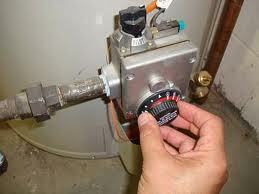 Check the hot water heater for the same reason you would check on the furnace. Be certain it, too, is venting properly. And while you are checking, look to see that the temperature setting is 120 degrees or less. As with the other senses, older adults’ sense of heat is less acute as they age, and they may scald themselves before they feel the heat when climbing into an overheated bath. 3. We have seen fairly stable energy costs lately, but there is talk of a spike in home heating prices as we move into the winter. Be alert to your older adult who appears to be rather bundled up in heavier clothes around the house. They may be conserving the heat, but they also are at risk for catching fire while cooking in bulky clothes over a stove top. Heavier clothing also can be trip hazards throughout the house. 4. Portable heaters can seem like a cost-effective way to heat small areas, but they represent a number of hazards. If they burn fuel, they can be carbon monoxide hazards, and if they are electrical, the cord can be a trip hazard. In electrical heaters, the coils are a fire hazard if they touch clothing or papers. 5. Finally, the change to standard from daylight saving time for those of you who reset their clocks twice a year is a reminder to check two other appliances any senior home should have. Replace the batteries in both the smoke detectors and the carbon monoxide detectors, and be sure they are strategically-placed throughout a house. Also, detectors on only one floor of a multi-level house are not sufficient protection. Your local fire department personnel will be glad to come out for an inspection and offer recommendations; some even offer free or discounted detectors. Now that you have made home safer for the older adult in your orbit, button up your coat and enjoy the change of season.